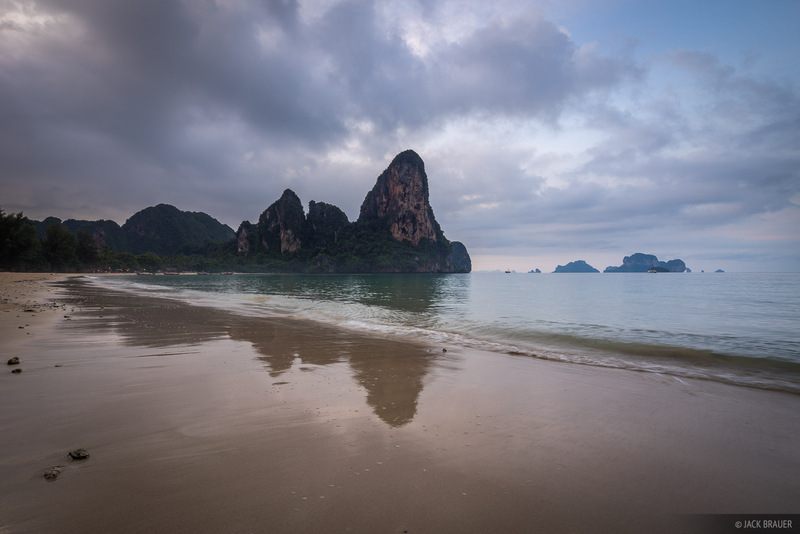 Claudia and I are mountain lovers through and through; but after two treks in the Himalaya, the thought of relaxing on some Thai beaches sounded pretty appealing. 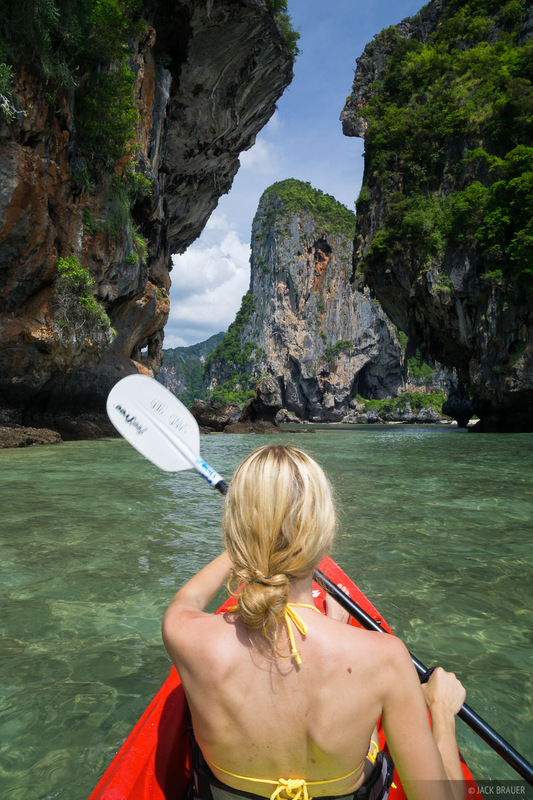 With two travel weeks to spare in December, and just a 3-hour flight from Kathmandu, we quickly planned a getaway to Thailand! Needless to say, once we were laying in the sand under the warm sun, we felt like that was a pretty damn good decision. 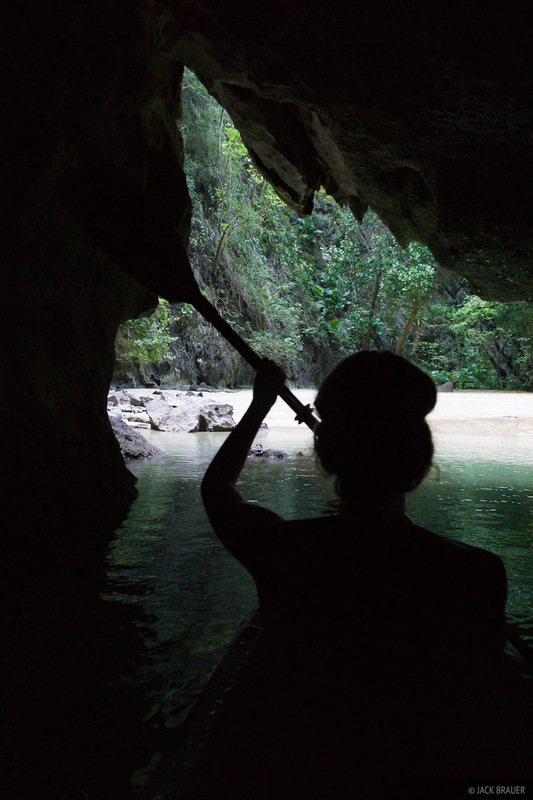 We started in Railay and Ao Nang, near the city of Krabi; then worked our way south towards the Trang province, including stays on the islands of Ko Lanta, Ko Kradan, and Ko Muk. 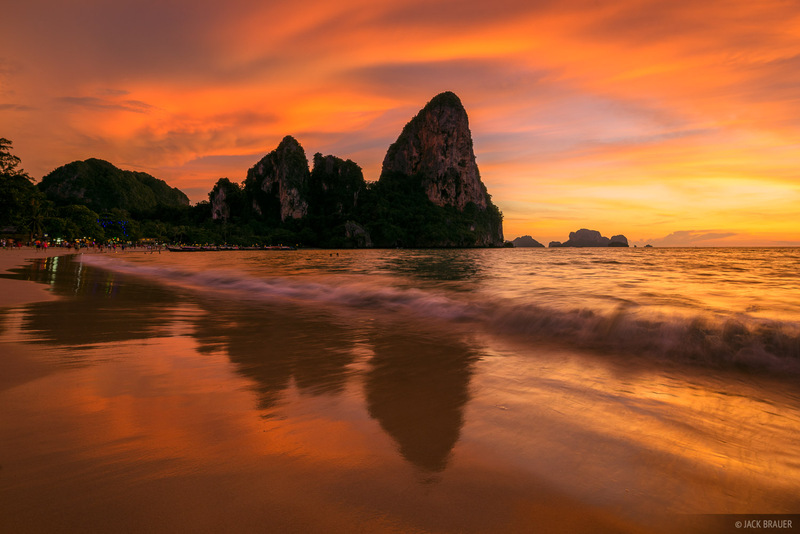 An amazing sunset over the limestone karsts of Railay beach. 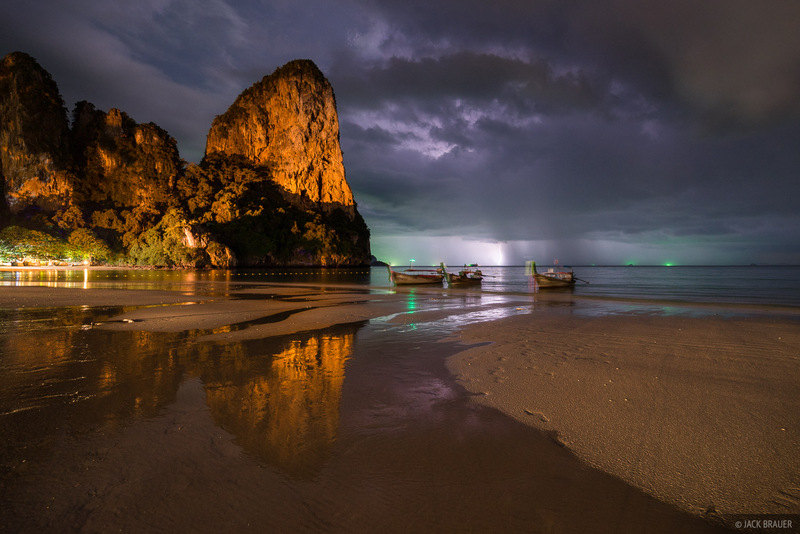 Lightning over the Andaman Sea as a tropical thunderstorm passes over Railay Beach. 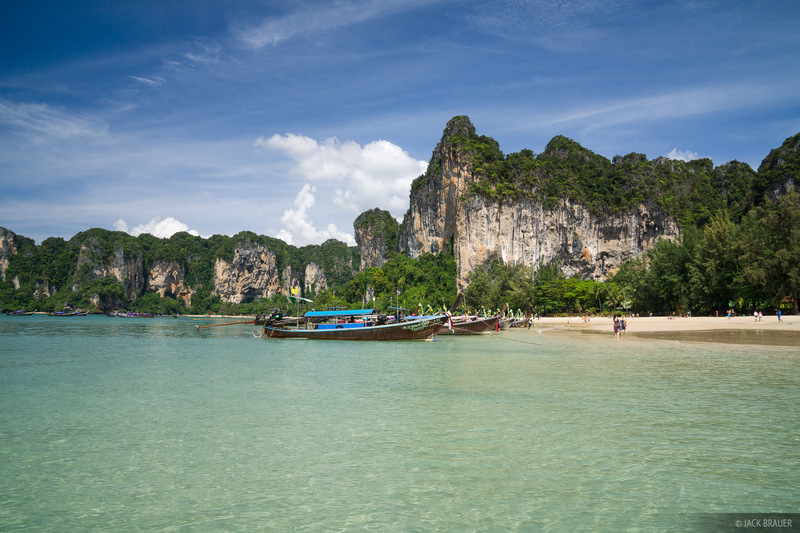 Long-tail boats at west Railay beach. 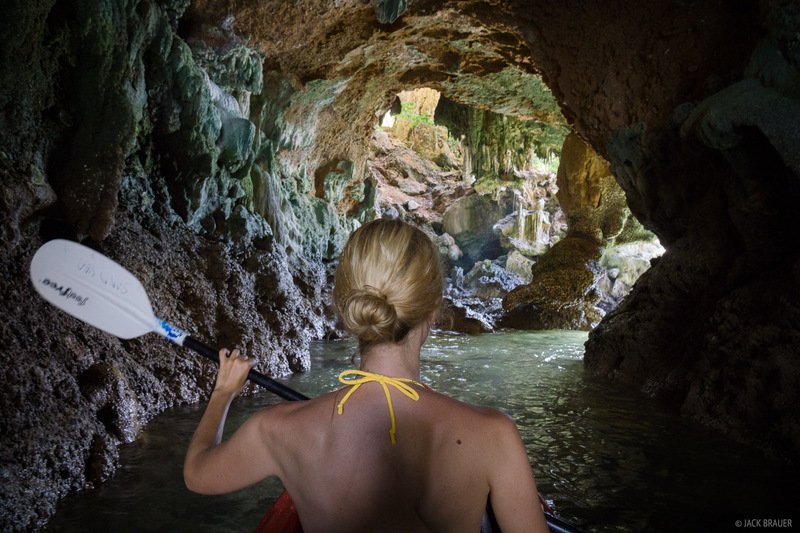 Kayaking amongst limestone karst formations near Phra Nang beach. 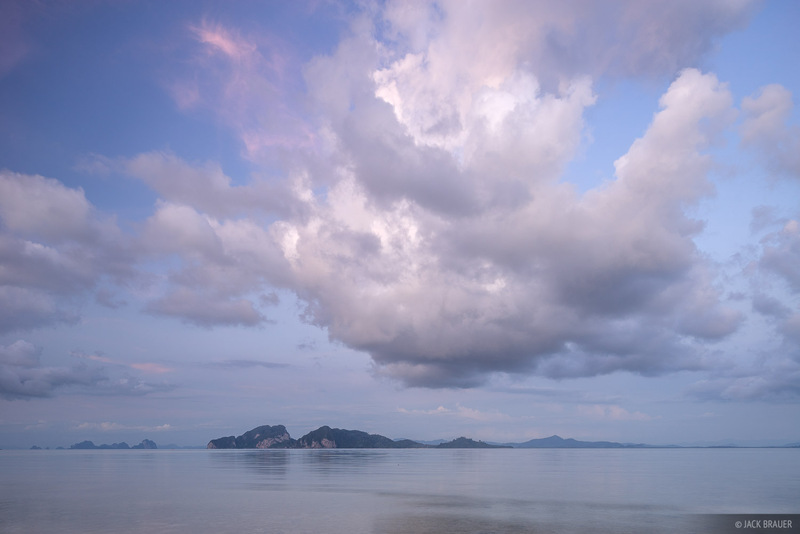 Railay beach on a cloudy morning. 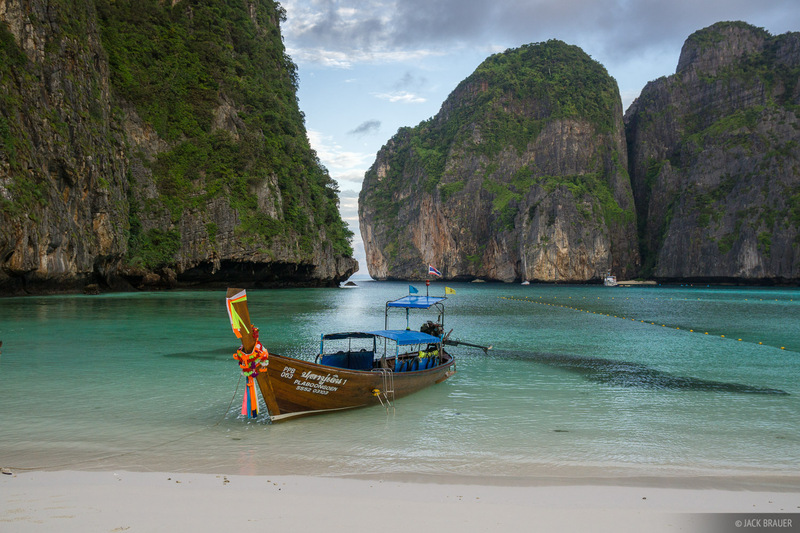 Ko Phi-Phi is a popular island featuring a thin [and shockingly overdeveloped] isthmus of land with attractive turquoise bays on both sides. 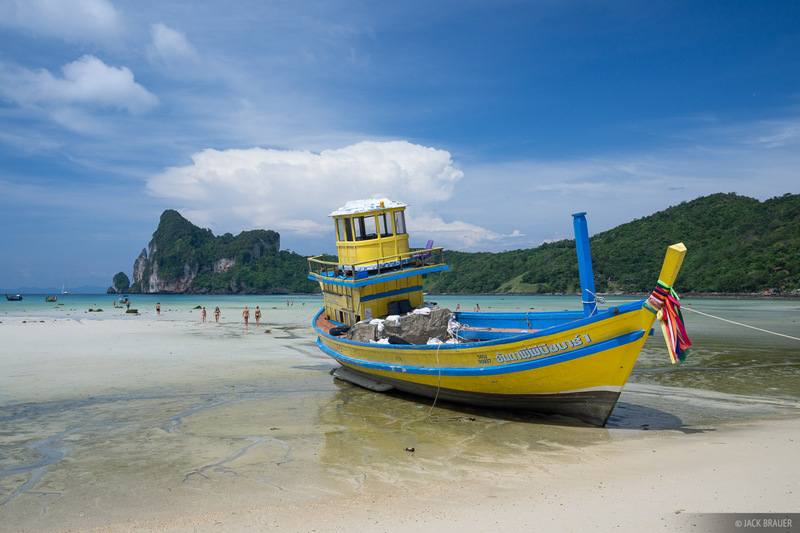 A long-tail boat in Maya Bay. 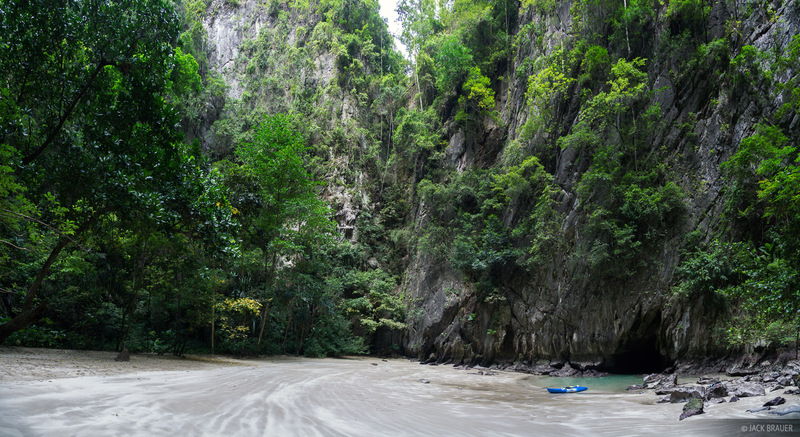 A panorama of the incredible cove of Maya Bay, where, incidentally, The Beach movie starring Leonardo DiCaprio was filmed. 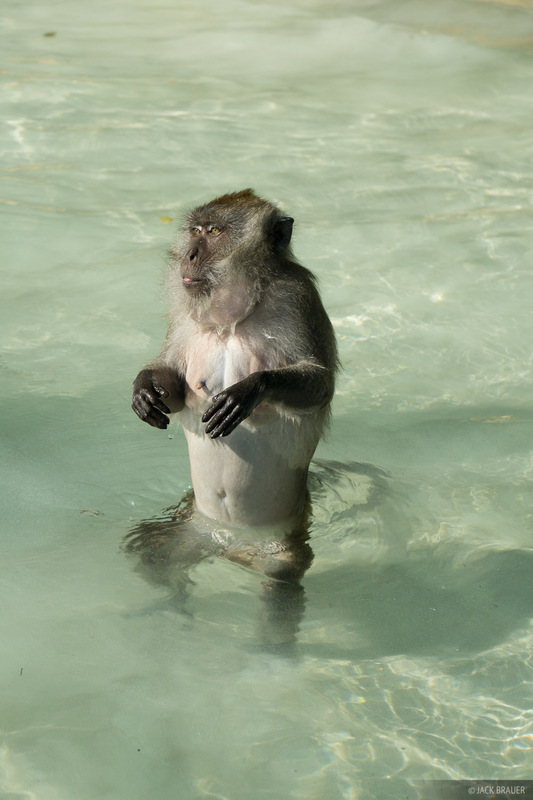 A monkey at Monkey Beach near Phi Phi. 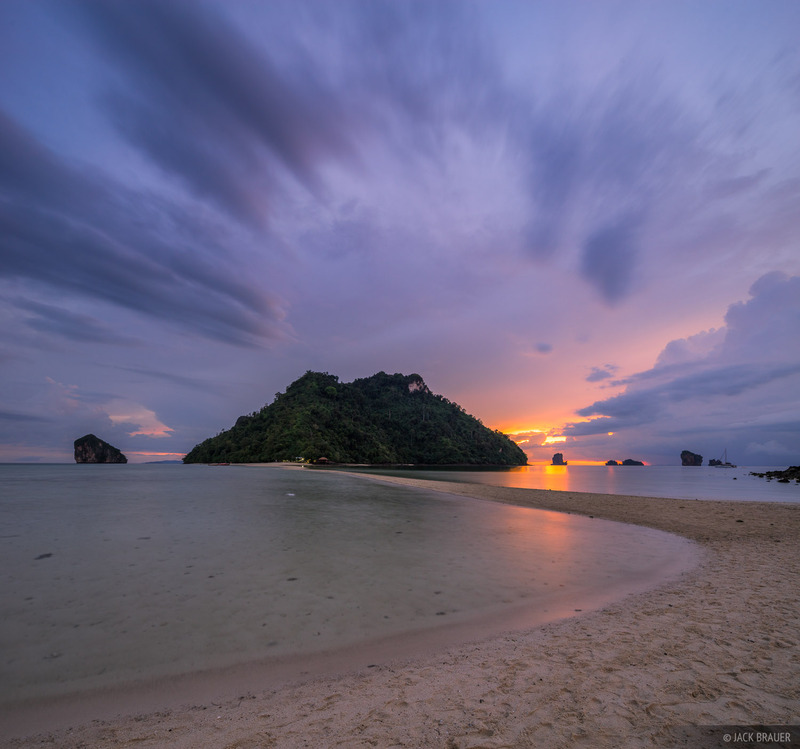 Sunset at the unique sandbar beach of Tup Island, in the Andaman Sea near Ao Nang and Railay. 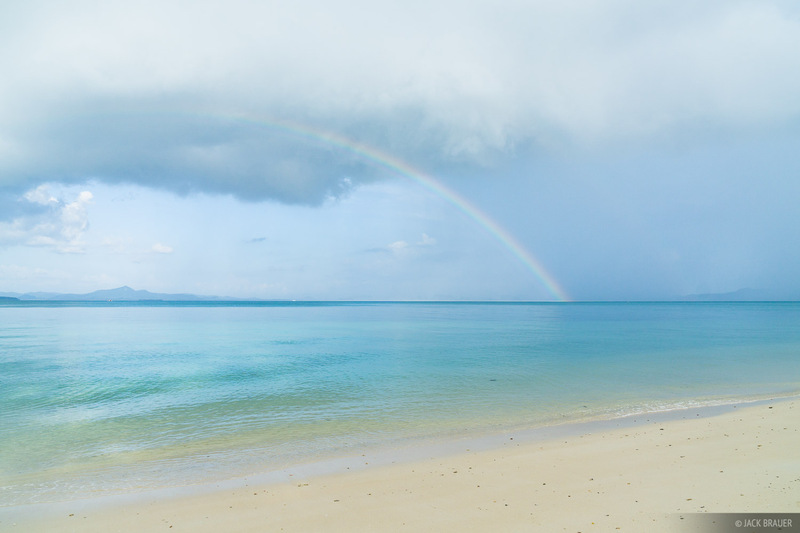 This is a full 360º panorama looking up one direction of the sandbar and down the opposite way. 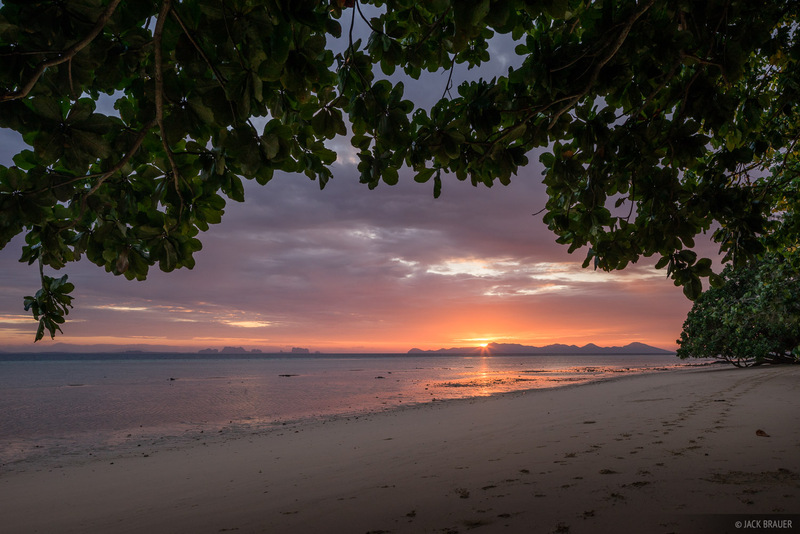 Panorama view of the enclosed beach at Ko Hong island. 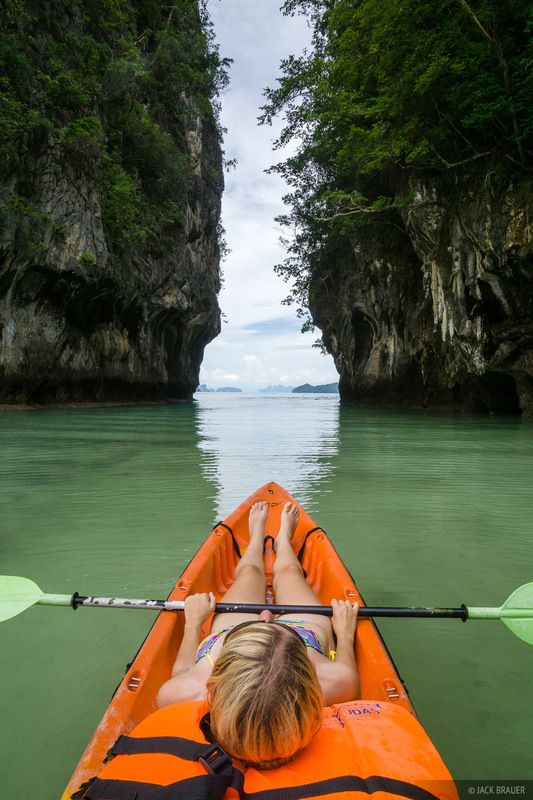 Relaxing on the kayak in the amazing enclosed lagoon in Ko Hong island. 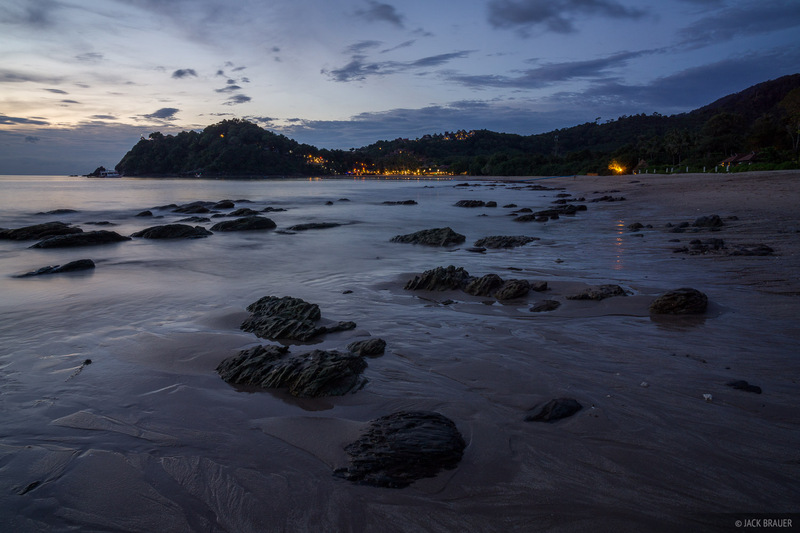 Evening at a beach on Ko Lanta. 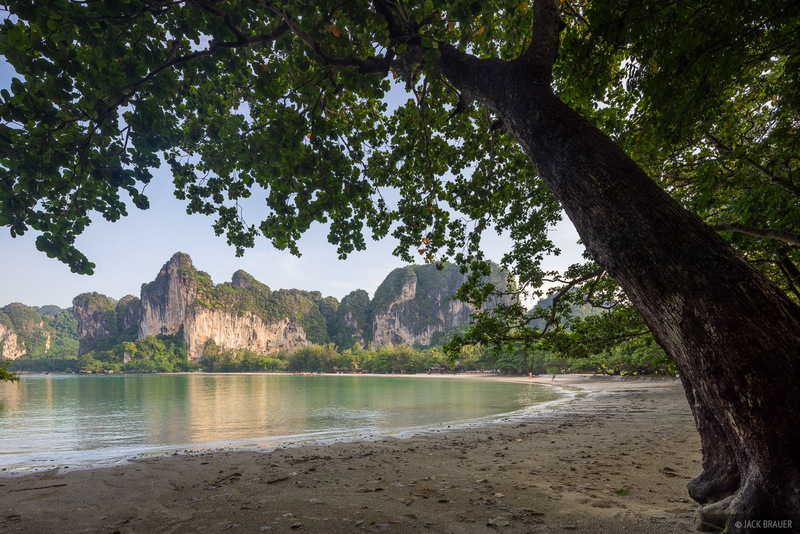 Hiking along the beach to our bungalow on Ko Kradan island. 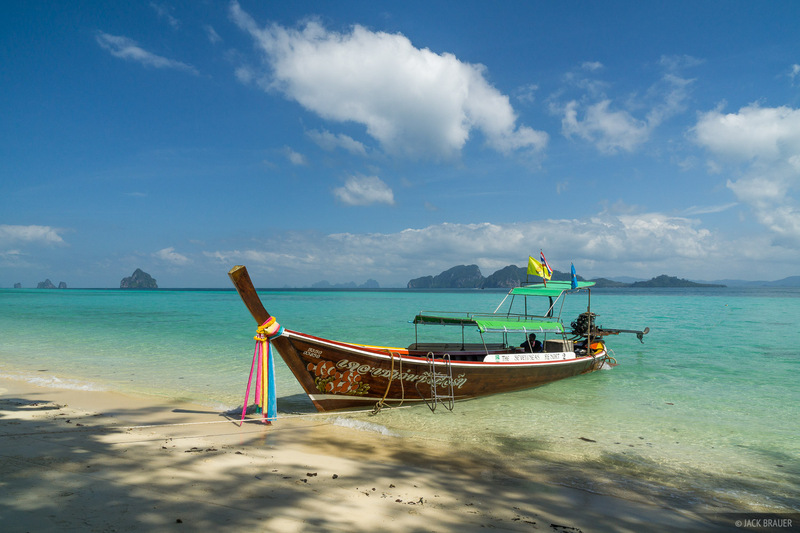 A long-tail taxi boat at Ko Kradan island. 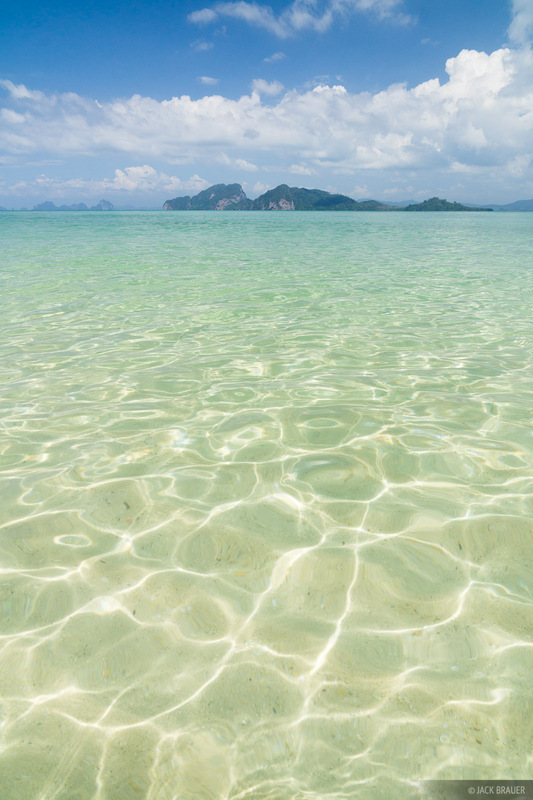 Crystal waters of Ko Kradan. 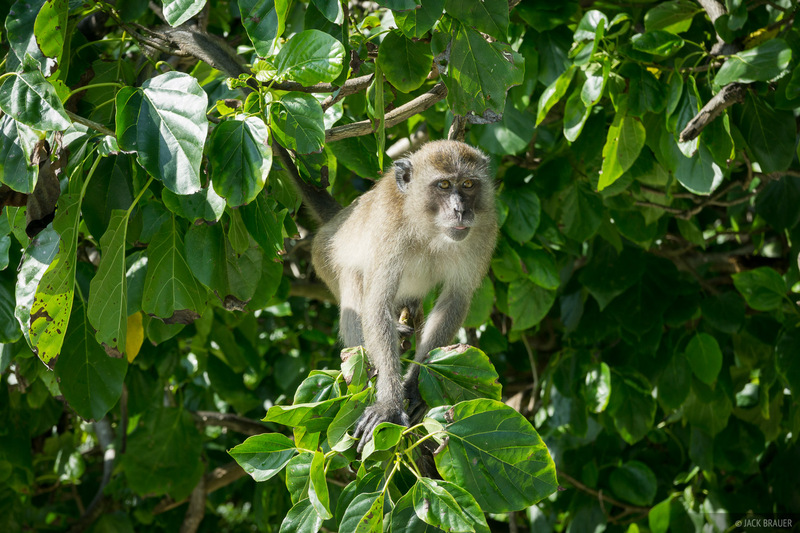 Enjoying a beach swing on Ko Kradan. 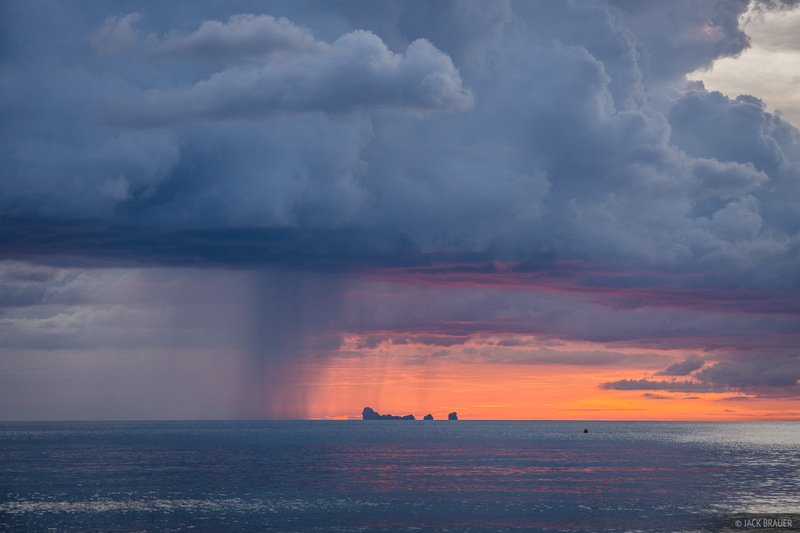 A big cottonball cloud over Ko Muk, as seen from Ko Kradan. 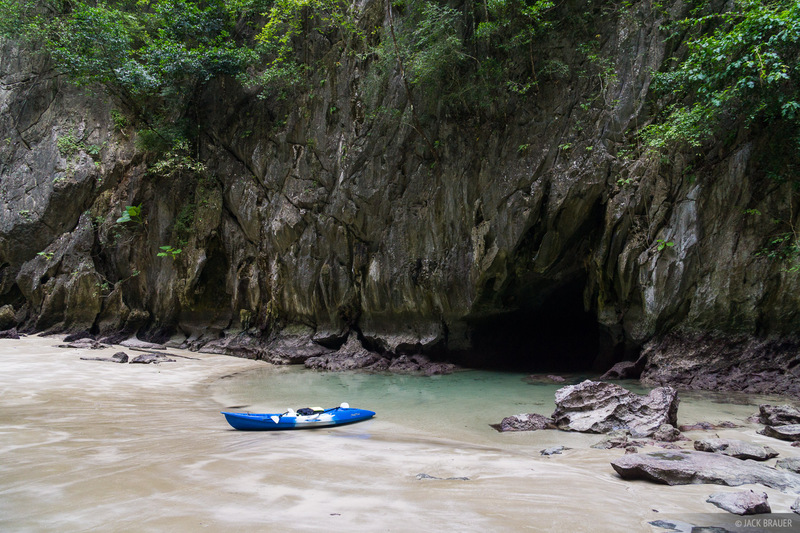 The hidden beach and enclosed lagoon surrounded by vertical cliffs, accessed by swimming or kayaking through an 80 meter long cave tunnel from the Andaman Sea. 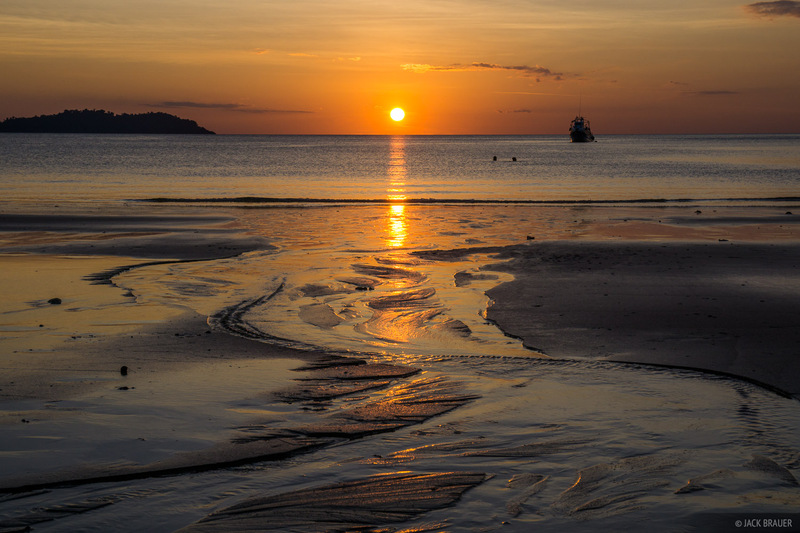 Sunset at Charlie Beach on Ko Muk. 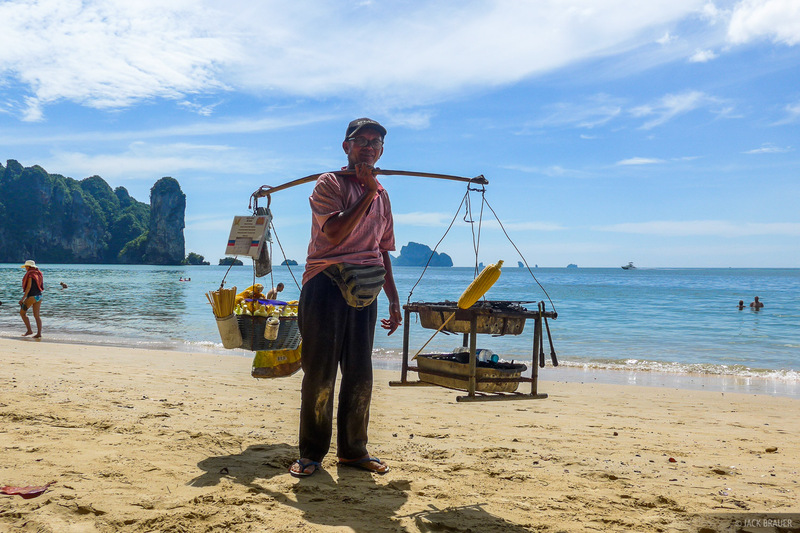 This guy walks up and down the beach at Ao Nang serving fresh corn cobs roasted over his portable coconut-charcoal grill. He is deaf and can't speak well, but still manages to make a point of how much better his corn is than all the other restaurants near the beach. He's right. It's delicious!